If you’re thinking of having dermal fillers or lip enhancing treatments and live in Belfast or the surrounding area, Save Face can help put you in touch with a qualified practitioner from a reputable clinic. Dermal fillers are a popular non-surgical cosmetic treatment that can be used to give the skin a more full and youthful appearance by ‘filling in’ fine lines and wrinkles. However, unlike botulinum toxin injections, dermal fillers are not a prescription only medication. This means they can be administered by anyone, regardless of their skills, qualifications and experience. Whilst you may find this surprising, currently non-surgical cosmetic treatments such as dermal fillers are almost entirely unregulated in the UK. This is despite the fact that when administered incorrectly, or in an unsuitable environment, non-invasive procedures can have major, irreversible adverse effects on health, appearance and wellbeing. 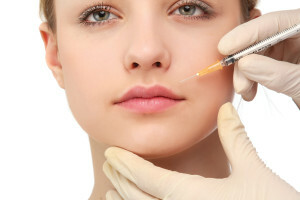 In a recent review of the regulations surrounding cosmetic interventions in the UK, Sir Bruce Keogh, Medical Director of the NHS in England, said that dermal fillers were a particular cause for concern. Legally, no sufficient checks have to be made regarding the quality of the products used to carry out the procedure, and the substances used as dermal fillers have no more controls than common floor cleaners. In fact, Sir Keogh, along with a committee commissioned by the department of health, believes that dermal fillers are a crisis waiting to happen. The committee recommended that legislation should be introduced to classify fillers as a prescription-only medical device, and that all those performing cosmetic interventions should be registered in order to protect the safety and wellbeing of the general public. However, despite Sir Keogh’s recommendations and the known risk to the consumer, the government has declined to act. In the absence of a mandatory register, Save Face has developed an impartial accreditation scheme to allow qualified non-invasive cosmetic practitioners to differentiate themselves from the unsafe and the unethical. By using our multifaceted search engine, consumers interested in non-surgical cosmetic treatments such as dermal fillers can connect with safe, experienced practitioners, all who have been vetted onsite against a strict set of objective standards. Use the search engine below to find a reputable clinic in Belfast, and stay safe, not sorry.